All of my patterns begin freehand of course. This is my latest project with eyelash yarn. 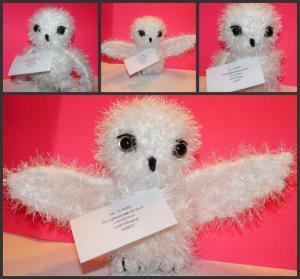 Inspired by Hedwig the snowy owl from Harry Potter. He's a cutie. Nice job.